This is a collection of poems to touch hearts. They are personal—time and circumstance snapped through the lenses of four women. In their word photos memories abound, family is honoured, love is voiced. Together they speak to a mosaic of people and places, in lands far and near, to times lived and yet to live. 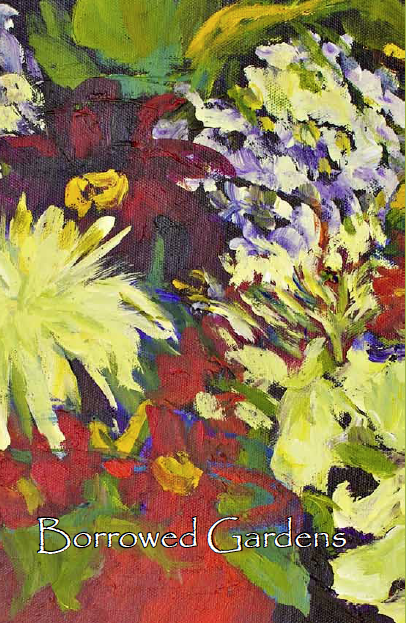 The pieces in this collection are the work of four Vancouver Lower Mainland women. Jeannine Bertoia and Tracie Fisher met in the Fine Arts Department of Kwantlen Polytechnic University. They began to share their poetry in 2005. They were joined in 2006 by freelance writer and poet Del McNulty and finally by author and poet Violet Nesdoly in 2007. The group meets regularly to support and further each other’s creative endeavours. I’m so proud of this book—the joint effort of four of us. If you’d like to purchase a copy, please email me. $15.00 + $4.50 Postage (within Canada). NOW AVAILABLE AS A FREE EBOOK in most formats! 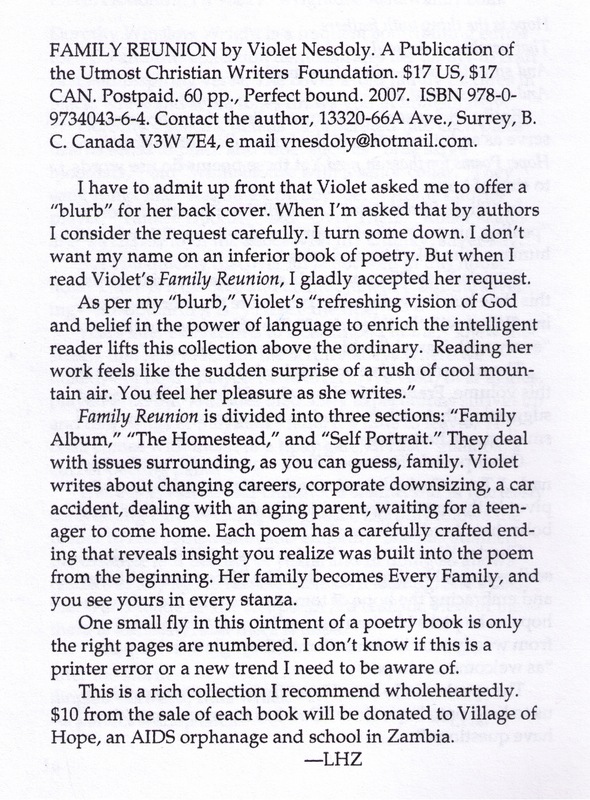 Read a review of Family Reunion, published in Time of Singing, Intermezzo Issue – Fall 2007. To order: Contact by email. Payment by PayPal is available. Calendar contains the poetry of those times: birth and death, spring and fall, laughter and crying, beginning and ending. Some of these poems have won awards. Many were previously published in places like Prairie Messenger, Time of Singing, and Utmost Christian Writers. To order: Contact by email. Payment by PayPal is available. 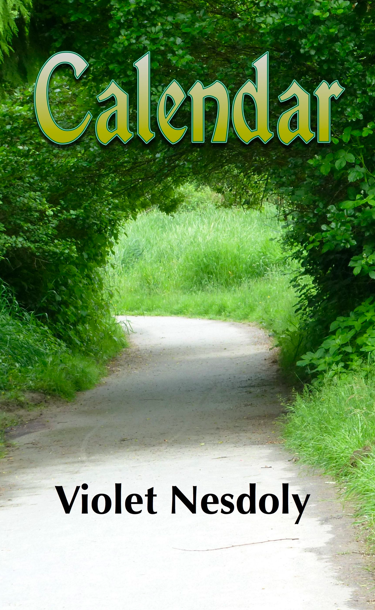 See above for the ebook edition of Calendar, available through Smashwords. Will sign books on request.